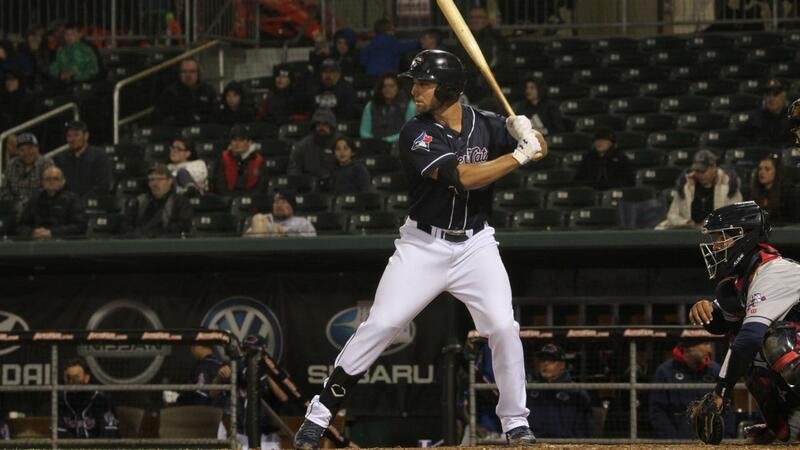 HARTFORD, CT - The New Hampshire Fisher Cats rapped out a season-high 14 hits but fell to the Hartford Yard Goats 10-5 Thursday night at Dunkin' Donuts Park, the first time New Hampshire has lost in Hartford since 2017. Kevin Smith started the scoring with a two-out solo shot in the first inning, his first home run of the season. Hartford took the lead for good with four runs in the bottom of the second. Fisher Cats starter Hector Perez (L, 0-1) surrendered five hits in the frame as the 'Cats trailed 4-1. New Hampshire got two back in the third. RBI knocks from Nash Knight and Chad Spanberger brought the Fisher Cats within one, but Hartford got three more in the bottom of the inning to make it 7-3. Another pair of runs scored in the top of the fourth on a pinch-hit, two-RBI single from Brock Lundquist, but single runs in the bottom of the fourth, fifth and eighth sealed the deal for the Yard Goats. Smith, Knight and Forrest Wall each logged three hits, the first time a 'Cat has done so this season. Smith finished a triple shy of the cycle. LHP Tayler Saucedo pitched two scoreless innings. Alberto Mineo had two hits. After going 110 at Dunkin' Donuts Park last year, the 'Cats lost to Hartford at their home park for the first time since June 4, 2017. The Fisher Cats and Yard Goats return to action Friday night in downtown Hartford. Southpaws Zach Logue and Ty Culbreth will go head-to-head in a game that begins at 7:05 p.m. Listen live on AM 610 WGIR starting at 6:45 p.m. on the Fisher Cats Radio Network.